So, I just thought that an intersting idea for a Ponyville birthday tradation. 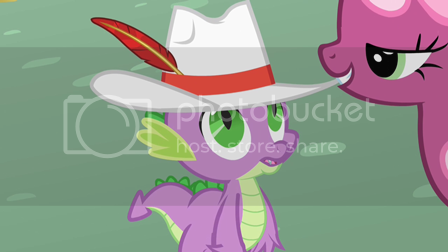 Since we are largely a TF2 community, I think it would be cool to give out hats to other pony's on thier birthdays. Any kind of hat will do I think. Some of us aren't as rich as others (I know I'm not) but recieving a multitude of hats on one's birthday would be freaking awesome. Now, the genisis for this idea is that tommorow is my birthday. AND, remember what everyone's favorite baby dragon got for his birthday? Hats seem like an apporpriate gift for a Pony/TF2 community, dontcha` think? Should we go ahead and post up our B-days? well, mine and rainbro's are tomorrow, January the 23rd. Awesome, I have a hat to get rid of. That is if both of you already own an Engineer's Cap. Aside from that, how about art sketch requests? I'll be happy to make one for you two. My Birthday is on this coming 25th. But, I don't really want hats. I have all the hats I could want. Hmm, I don't know what I'd want. Honestly, I think I'd get the best use out of a key and a Secret Saxton, although my Spirit of Giving is already at the highest possible rank. God, that took a lot of the Rarity in me. I was born on 8th december 1973. My birthday was 3 weeks ago! It's a cool idea, but some of us (aka me) don't really have any hats to give. I can do other stuff though. Anyways, happy birthday you two! Sounds like a neat idea, just wished I had some good hats to give you. I'd give you my bonk helm, but its not tradeable. I was not born. I came into being on the first day (Which was a Tuesday, by the way). It was before that Mayan Ceasar guy invented the calender. My birthday is in 3 months. I'm a few minutes, or hours early (depending on time zone) but I want to put this up now. I am down. My birthday is on the other side of the calendar, so its coo'. Mine is in roughly three months, around 14th April. My birthday's on April 16th, so it's a pretty long way. Maybe my parents will remember this time! Rainbro, if you turn into a rampaging greedy dragon, I'll be the one with the 50cal sniper rifle and take you out. Sounds like an interesting idea, I guess. 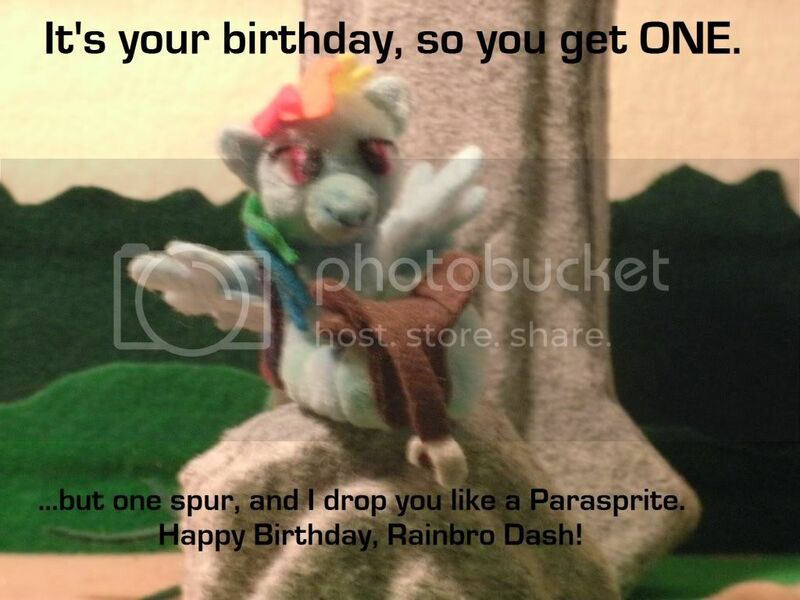 Happy birthday Rainbro! Gasp! I'm not the oldest anymore! Pfft, you'll need more than that to take me out.